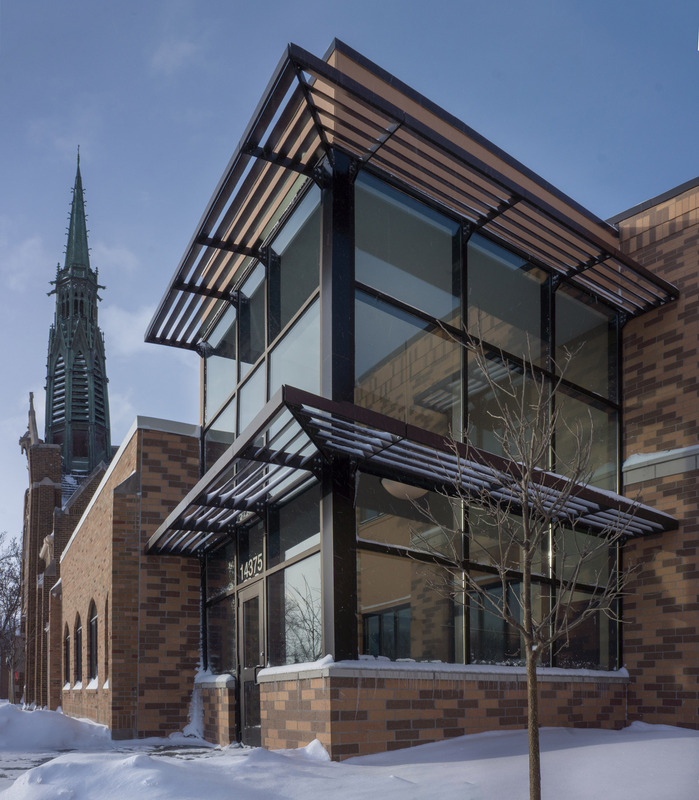 When the Steeple Center in Rosemount (formerly St. Joseph’s Church) needed an expansion, the City of Rosemount sought to construct an attached 12,000 square feet community center. This addition is an important part of what makes the city of Rosemount special: its strong sense of place and community. 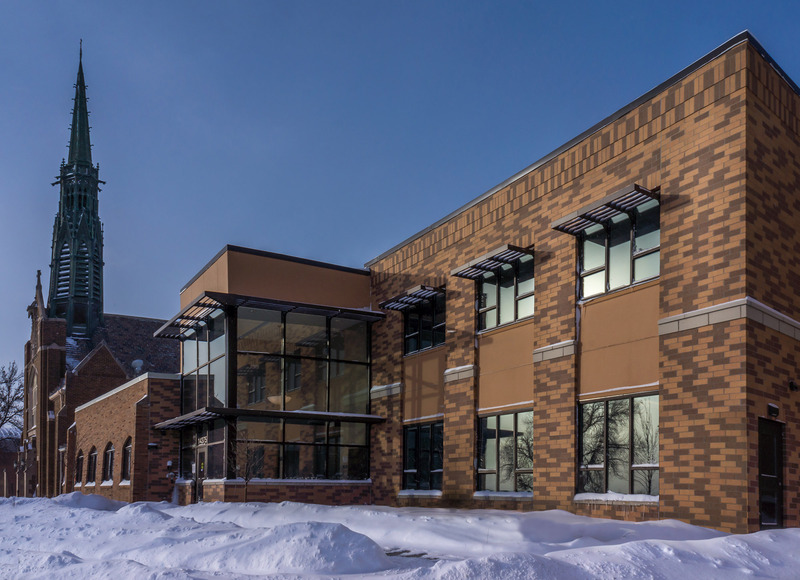 Working closely with the City of Rosemount, Kaas Wilson worked to design a community asset that fulfill all the needs of the city and provide a comfortable and inviting gathering place for residents. The “glass lantern” street side entry is a 2-story glass vestibule that leads to ample gallery space on route to the 2-story gathering lounge with coffee bar and fireplace. The addition houses three new multipurpose rooms that are used for community education glass, pottery classes (there is a portable kiln on site), dance classes, and more. The outdoor patio offers additional event spacing. Integral to the addition’s space planning was the integration of a catering kitchen, previously not part of the Steeple Center.